I can feel it flowing through me. I can feel that mystical power that connects everything and everyone in the universe. The Force is strong in my family. Since my children have been knee-high to a pit droid and could grasp a lightsaber, I have been teaching them the ways of The Force. For me, there is no better feeling than to see the excitement that I felt as a child being passed on to my own children. 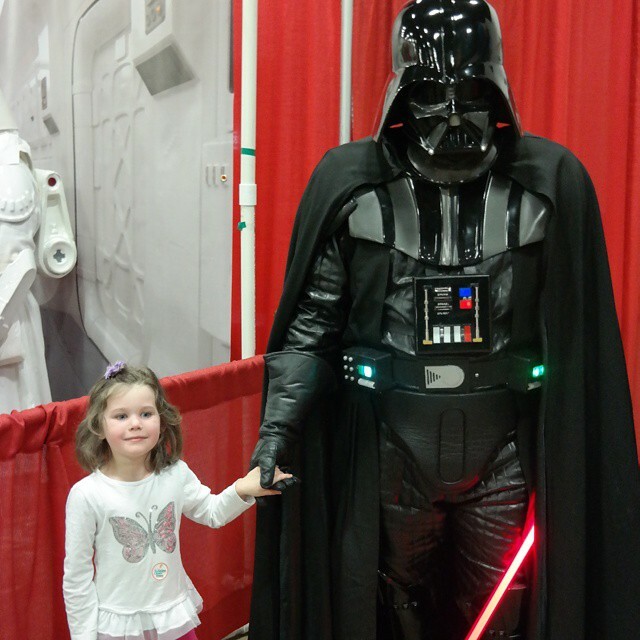 When my daughter sees Darth Vader and her first inclination is to ask "Daddy, can I go hold Darth Vader's hand?" Geek parenting. You're doing it right. My kids see the cool factor. A story about battles in space with good and bad guys wielding weapons made of pure light and energy? It's not hard to see why it is so fun especially when you are regularly dueling in the backyard with your homemade lightsabers. It seems only right to pass on the knowledge and understanding of everything Star Wars has to offer a family. It's full of characters we can all identify with. A princess that doesn't need rescuing, a scoundrel that discovers there is more to life than just money, and a young boy who transforms from a nobody to the savior of the world we know. I've been captivated by it since my first viewing and every time since then. As we hold a Jedi council watching the Star Wars saga together, it is only fitting that we have the perfect snack to keep The Force flowing through my young padawans. 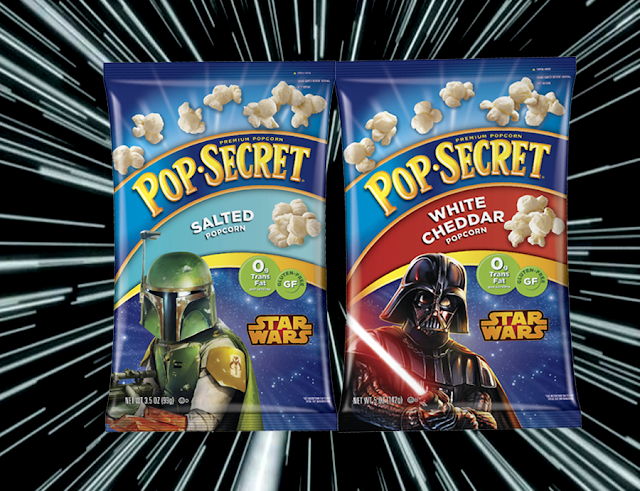 Pop Secret's pre-popped popcorn in flavors like Salted, Homestyle, Kettle Corn, White Cheddar, and the new Extra Cheesy are the delicious and fast snacks to satisfy even the ever hungry Sarlacc. Not only is it ready to go but Pop Secret popcorn is made with only the best ingredients using Non-GMO popcorn, no preservatives, gluten free, 100% whole grain, and 0 grams trans fat. Buy some Pop Secret pre-popped flavored popcorn today and you'll find bags featuring C-3P0, R2-D2, Darth Vader, Chewbacca, Boba Fett, and Yoda with fun trivia on the bag to test your true knowledge. Even Boba Fett wouldn't turn down a deal this easy. 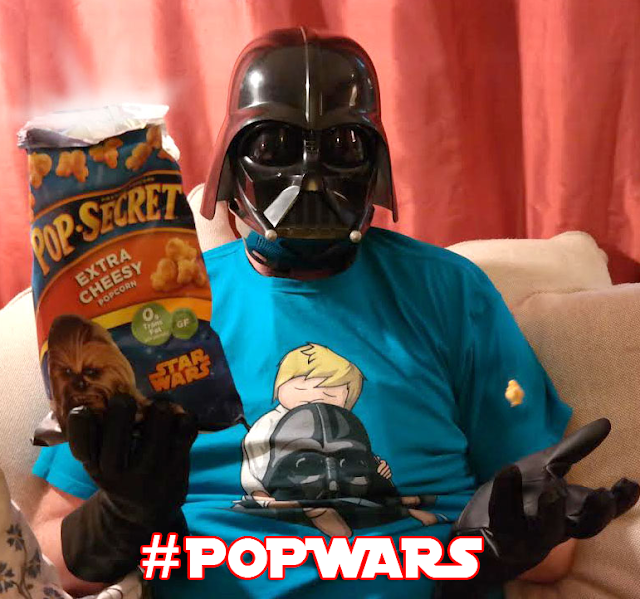 Life of Dad and Pop Secret have combined forces (see what I did there) to bring you a contest to show just how Pop Secret Pre Popped Popcorn gives you and your family The Force. Enter your own video by uploading your video to Facebook, tagging Pop Secret, and using #PopWars in your post. Entries are due by June 12th by 5pm ET. You could win up to $1,120 in Star Wars prizes! Join me and Life of Dad and all the other Pop Secret PopWars brand ambassadors for a Twitter party Wednesday June 10th at 8pm. Follow the #PopWars hashtag to share your Jedi knowledge.